Business-to-business marketing can be similar to business-to-consumer marketing in many ways. However, it also has its differences. Searching for business customers can often take on a more formal or professional air. You still need to use many of the same methods. But potential customers may be more concerned about quality content than flashy images. There are lots of important factors to keep in mind when planning B2B marketing strategy. Social media has begun to play a significant role, and blogs are also very useful. Try these tips to get the best results from your B2B marketing. Many people don’t like it, but there’s no ignoring that social media is now a major player in marketing. It’s not just B2C marketers that need to sit up and pay attention to it. However, B2B marketing experts do need to focus on different things. More businesses secure clients from LinkedIn than through either Facebook or Twitter. Although both of the latter networks are still useful, the professional site clearly has a slight advantage. As well as having social media accounts for your company, you should have them for you and your staff too. The people behind the business are also part of the brand. The content you provide is also an essential part of your B2B marketing strategy. As well as having excellent content on your main site, you should also have a blog. There’s evidence that businesses that run blogs get more clients than those who don’t. Many B2B experts, including Issa Asad, use content as a way to generate leads. The people making the decisions for their company want to read about your products and services before they buy. And it’s not just blogs that serve as valuable content. You can also use a range of materials, including ebooks, whitepapers, infographics, and videos. Offering different types of content will help you to attract people who like their information in various forms. Increasing traffic to your website is essential, but you need to go further than that. You also need to turn those visitors into leads so you can secure their business. There’s a lot you need to consider to achieve this. It starts with creating ads that represent your company well. Using the right landing pages will make a significant difference to your bounce rate and conversion rates. You also have to consider a lot of things on the page, from color and text to images. Your calls to action need a lot of your attention too. Businesses are often told to pay attention to analytics, but many are unsure what they should look at. You don’t want to waste your time tracking the wrong measurements. Before you start, check with those in the know about what you should be measuring. You also need to know how to interpret the numbers you see. 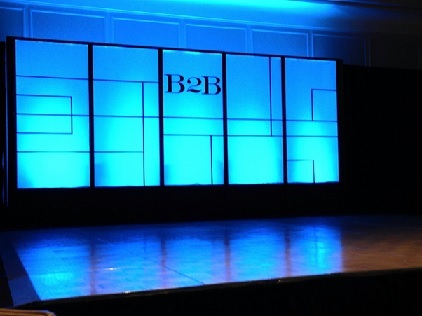 Keep in mind that B2B marketing isn’t exactly like B2C marketing. It has its similarities, but they’re not exactly the same. Next article How Cyber-Secure Is Your Website?